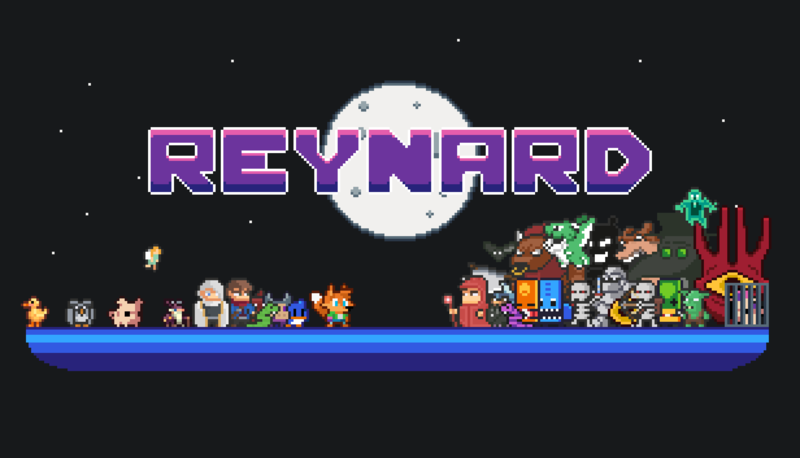 Another week, another Reynard update! Last week we released the “Merchants” update and this week we’re introducing you to the pawn shrine, buffed enemies and potion hotkeys! 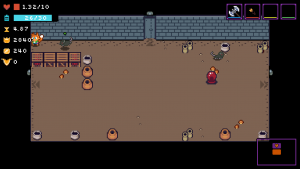 On your quest through dungeons, you will hoard a lot of items. 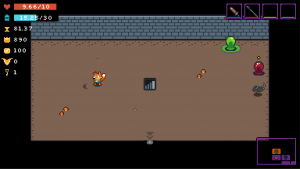 Some of them will be useful, others not so much and because of Reynard’s limited item carrying capabilities you’ll want to drop the “not so good” items to free up some space in your inventory. It would be a shame if those items would just be left on the dungeon floor. Here lies the reason we’ve created the pawn shrine! The Pawn shrine is a shrine similar to the Forge shrine. You step on the Pawn shrine and drop the item on it. Mysterious powers will grant you some gold in return for your item. To spice things up in the dungeons, we’ve decided to add buffs to enemies! For now enemies can be buffed in 4 stats! Damage buff on green slime. Health regen buff on red slime. Max health buff on rat. Movement speed buff on a bat. “1” or “Dpad-UP” – Use health potion. “2” or “Dpad-RIGHT” – Use stamina potion. “3” or “Dpad-LEFT” – Use energy potion. Modified leprechaun perk, you now earn 20% less score. Modified blind monk perk, you deal 20% more damage. Silver key shrine now takes only gold. Thin blade now deals slashing damage instead of blunt. 200 additional experience gained if the whole dungeon with secret room included is cleared. Added buffed enemies. 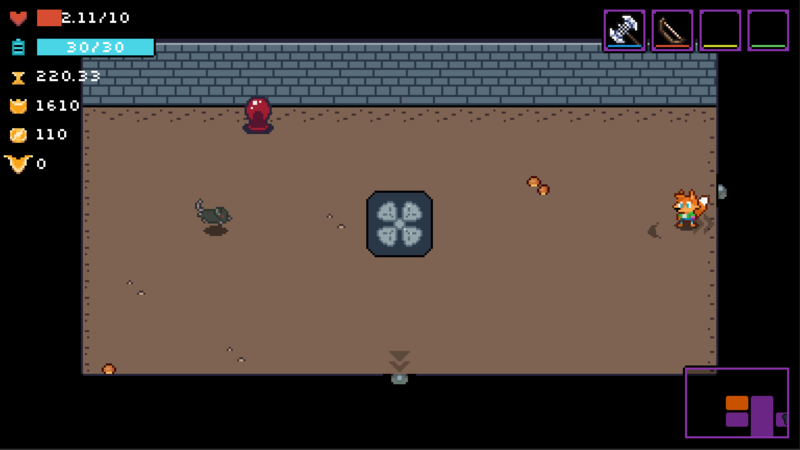 The more dungeons you clear in the run the more buffed enemies will spawn. Modified the health bar. Now it also displays the type of buff the enemy has.